Rand Refinery, located in Germiston, South Africa, is one of the world’s most famous gold refineries. The facility has refined over 50,000 tonnes of gold since 1921, which is nearly one third of the gold ever mined. Originally founded by the precursor to the Chamber of Mines of South Africa, Rand Refinery is still exclusively controlled by five of the largest South African mining companies, including Anglogold Ashanti and Goldfields. Given its long history and huge output, Rand Refinery large gold bars (400 oz) are widely held by central banks across the world. The refinery’s flagship gold bullion Krugerrand coin is also held widely, with over 60 million Krugerrands minted since 1967. Rand Refinery is arguably the most famous gold refinery in the world given that since it first opened in 1921 it has refined over 50,000 tonnes of gold, which is nearly 30% of all the gold that has ever been mined. The refinery is situated at a location in Germiston, just outside Johannesburg, and within the legendary Witwatersrand gold mining district. The ‘Rand Refinery’ facilities encompass a smelting operation, refinery operation and coin and bar fabricating facilities. The refinery’s most famous product is probably the world-renowned Krugerrand gold bullion coin, of which 60 million coins have been produced since its launch in 1967. The ‘Rand Refinery’ company is still exclusively owned by the largest South African gold mining companies. Historically, it solely refined gold mining output from these local producers, but more recently, with the fall in domestically mined gold, the refinery increasingly sources its gold material from all across the African continent as well as in the US and Asia. Rand Refinery Ltd was founded as a private company in November 1920 by gold mining company members of the Transvaal Chamber of Mines. The refinery was established solely to refine gold output from its owner mining companies. Prior to that time, there was no bullion refining facility in South Africa, and crude bullion was shipped to London for refining. Note that a smelting plant called “Witwatersrand Co-operative Smelting Works” had been established by the Transvaal Chamber of Mines in 1909. The Rand Refinery, which had an initial annual gold mining capacity of 373 tonnes, was completed in December 1921. Production of large 400 oz gold bars also began at that time. The location of Germiston (16 kms east of Johannesburg) was chosen for the refinery because it was within the Witwatersrand gold mining area and it also offered adequate railway facilities. A year later in 1922, the Royal Mint established a South African branch of the Royal Mint in Pretoria, just north of Johannesburg. This mint is now known as the South African Mint[South African Mint http://www.samint.co.za/about-us], and is fully owned by the South African Reserve Bank (SARB). The refinery’s facilities underwent a major four year upgrade beginning in 1965. In 1966, the smelting operations of the Witwatersrand Co-operative Smelting Works (then called By-Products Ltd) were integrated into the Rand Refinery’s Germiston site. Following the launch of the Krugerrand gold bullion coin in 1967, Rand Refinery added an alloy and coin blank production facility to its Germiston facilities. This coin blank facility was upgraded in 1984. Note that the gold bullion Krugerrand is produced jointly by Rand Refinery and the South African Mint. In the late 1980s, the refinery facilities went through a full upgrade and new refinery facilities opened in 1989 on the same site as the previous facility. The above centralisation of smelting, refining and coin blank production facilities at one location in Germiston explains why Rand Refinery is now, in its own words “the largest single-site integrated smelter, refiner and fabricator of precious metals in the world“. From its inception until 1993, Rand Refinery was technically an affiliate company of the Chamber of Mines of South Africa (the successor name of the Transvaal Chamber of Mines). In 1993, the holding company became an independent company, with the mining company shareholders directly appointing the board. In 1998, Rand Refinery opened a high security storage facility at O.R. Tambo International Airport which is approximately 20 kms north-east of central Johannesburg. Rand Refinery calls this storage facility a “gold transit vault”, and helicopters are used for transferring bullion between the refinery and the vault via a 3 minute flight. “In 2011, Rand Refinery established a trading office in Singapore called Rand Refinery Asia (Pte) Limited. This office was set up to source gold material for the refinery from the Asian region (such as scrap and ore), to provide assay testing of this incoming material, and also to market Rand Refinery gold bars in Singapore and the surrounding area. However, this Singapore office closed in late 2014 / early 2015 due to unknown reasons. Rand Refinery is owned by five large South African gold mining companies, Anglogold Ashanti, Gold Fields, Harmony, Sibanye Gold and DRDGOLD. AngloGold Ashanti owns 42.41% of Rand Refinery shares, Sibanye Gold owns 33.15%, DRD controls 11.3%, Harmony holds 10.38%, and Gold Fields holds a relatively small 2.76%. All of these gold mining companies are members of the Chamber of Mines of South Africa. Indeed, as mentioned above, Rand Refinery was founded by the historical predecessor of the Chamber of Mines of South Africa, namely the Transvaal Chamber of Mines. The group’s Germiston refinery has a gold refining capacity of 600 tonnes per annum. In 2011, the plant refined 481 tonnes of gold. More recent refining data is not available because since 2012 Rand Refinery has stopped publishing annual reports. Therefore, there is now less transparency into Rand Refinery operations than previously. The delay in filing the Refinery’s 2013 financial results had been due to apparent accounting irregularities that involved a shortfall in gold holdings in the accounting system, however its unclear if the lack of subsequent published accounts is related to the same issue. The refinery’s gold can be refined up to 99.99% via a two-step process. The refinery also extracts platinum group metals from the input material during the gold refining process. A photo gallery of refinery operations can be viewed on the Rand Refinery website. Customers of Rand refinery span the entire range of the gold market including gold mining companies, bullion banks, mints, jewellery fabricators, and gold distributors and retailers. All gold supplied by the South African gold mining companies that own Rand Refinery is marketed and sold by the refinery to members of the LBMA, predominantly banks, i.e. the refinery is the agent of the gold miners, and the customer base of the newly mined sold is exclusively LBMA members. In its 2012 annual report, Rand Refinery stated that its gold exports to China accounted for approximately one-third of China’s gold imports. Prior to 1998, all domestic gold processed through the refinery was sold by the South African Reserve Bank into the London Gold Market. South Africa has been experiencing a long-term decline in gold mining output. In 2007, it was still the world’s top producer of mined gold, however by 2015, it had dropped to 7th position in the global gold producing country rankings. Given this well flagged decline in domestic gold mining, Rand Refinery has focused on re-positioning itself from a model of sourcing its metal inputs from South Africa, to a mix of South Africa, Pan-Africa, and international sourcing. Excluding South African gold production, Rand Refinery now refines approximately 75% of gold production from the African continent by sourcing mining output from West Africa, East Africa, and other countries in Southern Africa. The list of countries within the continent whose gold is refined by Rand Refinery now includes Ghana, Namibia, Botswana, Guinea, Mozambique, Tanzania, Mali, and Ethiopia. Internationally, Rand Refinery also sources ore and doré from the United States, South East Asia and Austral-Asia. As of 2014, it was estimated that about 40% of all the doré material refined in Germiston was sourced from outside South Africa. This percentage is expected to increase as gold mining production within South Africa continues to fall. As an integrated smelting and refining facility, the smelting operations form a core part of Rand Refinery’s activities. Smelting processes low-grade metal bearing materials into higher grade material that then goes through refining processes. The on-site smelting operations take in material from mines and recycling sources such as electronic scrap, and recovers between 6 – 10 tonnes of gold per annum and 16 -30 tonnes of silver per annum. Rand Refinery’s cast gold bar range consists of bars in the following weights: 400 oz, 100 oz, 100 grams, 10 tola, 5 tola, 10 tael and 5 teal. Tola is a traditional weight system used in India. Tael is a traditional weight system used in China and Hong Kong. Given that more that 50,000 tonnes of gold has been refined by Rand Refinery since its inception in 1921, and that the majority of this output was in the form of 400 ozs gold bars which were sent to the London Gold Market, there are therefore Rand Refinery gold bars held by many central banks, particularly in the Bank of England gold vaults. As an example, most of the gold bars held by the International Monetary Fund in the Bank of England vaults is, or at lease was in the 1970s, in the form of Rand Refinery gold bars. The refinery’s minted bar range has been produced since 2012. Rand Refinery minted gold bars are produced in the following weights: 100 grams, 50 grams, 20 grams, 10 grams, 8 grams, 5 grams, and 2.5 grams. There is also a range of minted silver bars that are produced in weights of 100 oz, 1 kg, 500 grams and 100 grams. Since 2011, the refinery logo on Rand Refinery bars has featured a circular brand mark representing a “pouring crucible”. The former bar mark features an encircled Springbok head. Rand Refinery is a full member of the London Bullion Market Association (LBMA), and its gold bars have been accredited as good delivery for the London gold market since 1921. Notably, rand refinery is the only precious metals refinery in Africa, to be accredited by the LBMA.The refinery has also been, since 2004, one of only five members of the LBMA’s prestigious Good Delivery referee panel, which monitors refining standards of LBMA member refineries and vets new applicants. The Krugerrand is South Africa’s flagship gold bullion coin. The idea of a South African produced gold bullion coin was developed by the Chamber of Mines of South Africa in the 1960s as a way to market South African gold internationally and as a means of developing international demand for the country’s gold output. Although the 1 oz Krugerrand was first minted in 1967, large-scale production of the coin did not begin until 1970. In 1980, fractional denomination Krugerrands in ½ oz, ¼ oz and 1/10 oz denominations were introduced. Since the inception of the Krugerrand bullion program, over 60 million Krugerrands of all denominations have been fabricated. 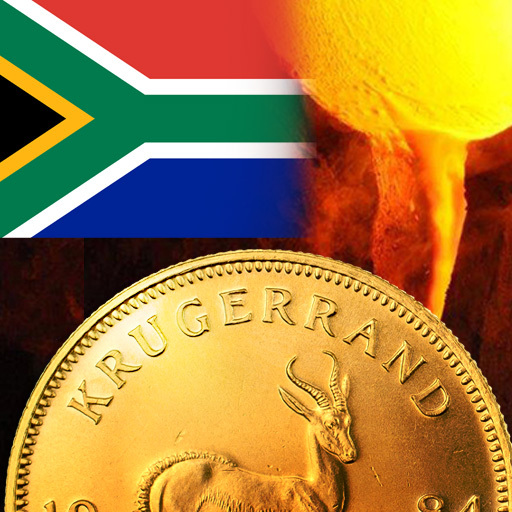 Bullion Krugerrands are produced in a collaborative arrangement between Rand Refinery and the South African Mint. Rand Refinery produce the bullion coin blanks, and the Mint stamps the coins. Proof Krugerrands are minted exclusively by the South African Mint. The Krugerrand is a 22 karat gold coin, with a gold fineness of 0.9167. Copper is added to the gold to increase durability. For example, a 1 oz Krugerrand weighs 1.0909 ozs but contains exactly 1 troy oz of fine gold. Since 1998, Rand Refinery has been responsible for marketing the Krugerrand. Prior to this a subsidiary of the Chamber of Mines called International Gold Corporation (Intergold) had marketing responsibility. Rand refinery receives the exclusive authority to supply and market the Krugerrand bullion coin, both nationally and internationally from the South African Treasury. A list of international bullion dealers authorised to distribute the Krugerrand can be found on the Rand Refinery website.